POPULAR with its crews,and rightly respected by their British opposite numbers flying Felixstowe flying boats from North Sea coastal air stations, the sprightly Hansa-Brandenburg W 29 seaplane fighter boasted a distinguished wartime career. As a result of its high performance,the modern-looking W 29 enjoyed considerable production orders and was also built under licence by UFAG during WWI and five other countries after the Armistice serving them well for many years. 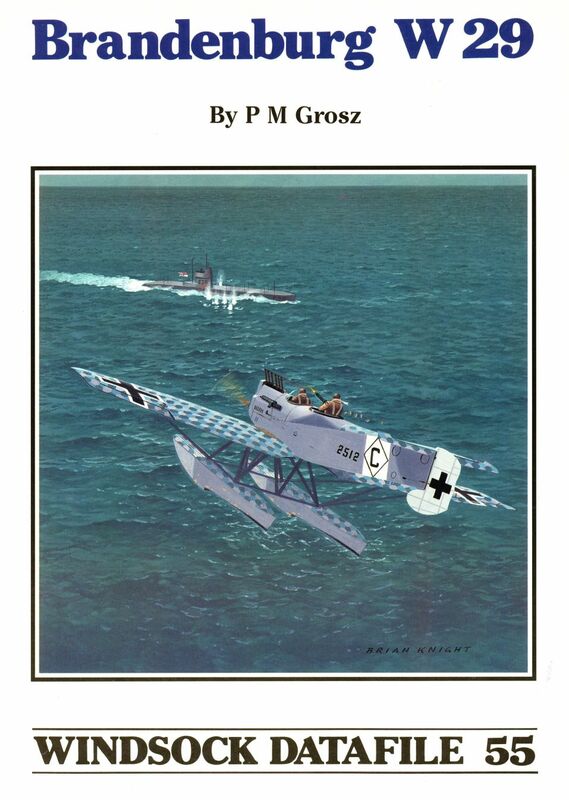 Over 50 photos are presented in Peter M Grosz's splendid DATAFILE,along with over eight pages of 1:72 and 1:48 scale plans and tone drawings by Colin Owers.Factory three-views of W 29 variants are also included along with detailed colour notes,cockpit photos and three brand new rear cover colour plates produced by Ronny Bar especially for this limited third edition reprint. Modellers of the hihgly popular W 29 need look no further than this top-notch reference! AVAILABLE AGAIN! One of the German Navy's most potent seaplane fighters, the W 12 saw widespread service in the North Sea and proved a real thorn in the side of the British Royal Navy...One of our most popular titles, now in its second reprint..
Special Brandenburg features plus Lance Krieg on scale airframes. Expanded kit and decal reviews too!